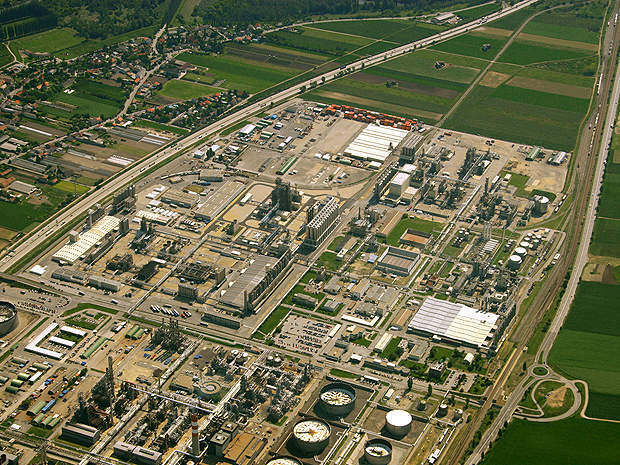 The polypropylene plant is located in Schwechat, Austria, at an existing plant complex. During the expansion, the plant transferred ownership from PCD Polymere to Borealis. OMV, which owns a neighbouring plant at the site, raised the propylene output of its refinery at Schwechat to meet the needs of the new polypropylene plant. The change of ownership came in 1998. The project was initiated in the second half of 1997, Borealis completed the mechanical construction on 15 March 2000 and the plant began production in May 2000. The value of the project is in the region of $140m and the production capacity of the plant is 210,000t/yr of polypropylene. The plant was upgraded in 2005 to further increase its production capacity to 300,000t/yr. In 2008, a fourth gas phase reactor went into production. The four-reactor configuration set-up which consists of one loop reactor and three gas phase reactors, supports the production of superior materials that meet the needs of the automotive, pipe and advanced packaging industries. Borealis in Schwechat has two polypropylene plants, two low-density polyethylene plants and one compounding unit with a production capacity of about 1m tons of polyolefins as well as a Borstar PE plant which was completed in 2005. 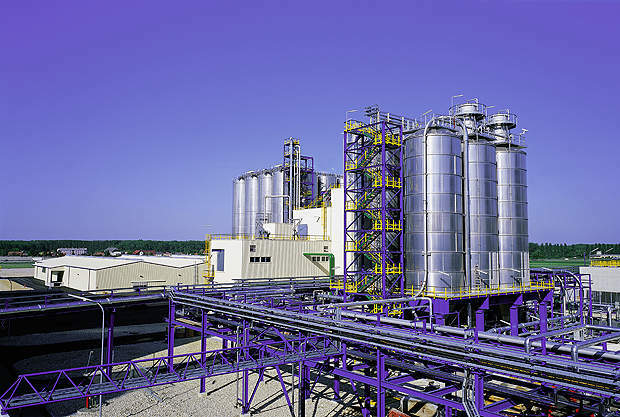 The polypropylene process technology used at the Austrian plant was developed from the Borstar polyethylene process. The process had been implemented before at Porvoo in Finland and Stenungsund in Sweden, but the Schwechat plant was the first instance of the process technology being used in a polypropylene plant. 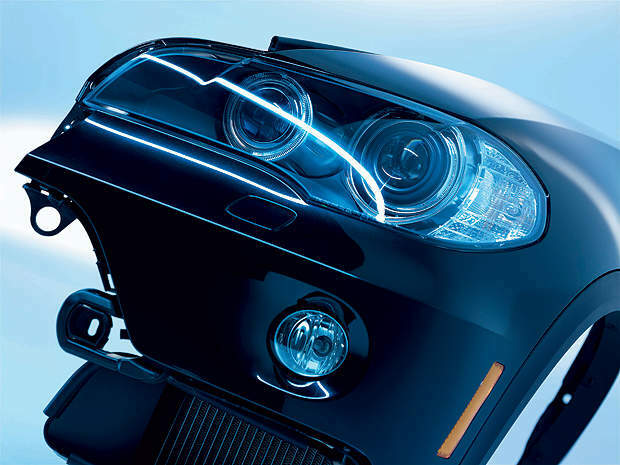 It uses Borealis’ proprietary polypropylene catalyst, a specialised Ziegler-Natta catalyst known as BC1, to produce a range of standard and advanced grades for applications in the areas of film, fibre, thermoforming, and engineering applications and pipe. The modular process consists of a loop and a large gas-phase reactor for homo and random copolymers, with the addition of one or two smaller gas-phase reactors to produce various types of block copolymers. The Schwechat plant has the base configuration of one loop plus one gas-phase reactor and one rubber gas-phase reactor for heterophasic copolymers. A second rubber reactor can be added at any time when certain copolymers need to be produced. The combination of loop and gas-phase reactors is claimed by the company to provide several benefits. The loop reactor brings swift start-ups and grade changes, high monomer concentration and, therefore, high catalyst activity, while the gas-phase reactor adds the capability of very soft products and independent operation of the two reactors. In addition, process economics are improved as the unreacted propylene coming out of the loop reactor is consumed in the gas-phase reactor, resulting in a zero recycle rate. The company says the technology has significant cost and environmental benefits as a result of these features. The project at Schwechat entailed replacing two existing slurry lines in order to upgrade the plant. The principal engineering, procurement and construction contractor was Neste Jacobs, which was part of the Finnish energy group Fortum. Modifications to the existing facilities at the site were carried out by a local Austrian company called Tecnon Engineering. Pre-marketing of the new polypropylene products began in the spring of 1999, as Borealis already has a well-established sales and marketing network in Europe. The new polypropylene products were sourced from a pilot plant in Finland until the Austrian plant went into production on a commercial scale in 1999. The OMV refinery ethylene plant on the Schwechat site supplies feedstock to the ethylene and propylene plants via pipeline. Borealis also replaced two old low-density polyethylene (LDPE) plants and one HDPE plant with a single new plant in 2005. Borealis has a total of about 1m tons per year polyolefins capacity at Schwechat (545,000t/yr PE and 435,000t/yr PP). Headquartered in Vienna, Austria, Borealis is a provider of chemical and innovative plastics solutions. Borealis is owned 64% by the International Petroleum Investment Company (IPIC) of Abu Dhabi and 36% by OMV. A joint venture company of Borealis and Abu Dhabi National Oil Company (ADNOC) called Borouge was established in 1998. Its serves the Middle East, Africa, Asia Pacific and the Indian sub-continent markets. Borealis and Borouge through their Borstar technology annually manufacture about 4m tons of polyolefins. Borouge will triple its polyolefins production capacity to 2m t/yr in 2010 and another 2.5m t/y by 2013.